When I was young, I collected anything that was Sanrio. 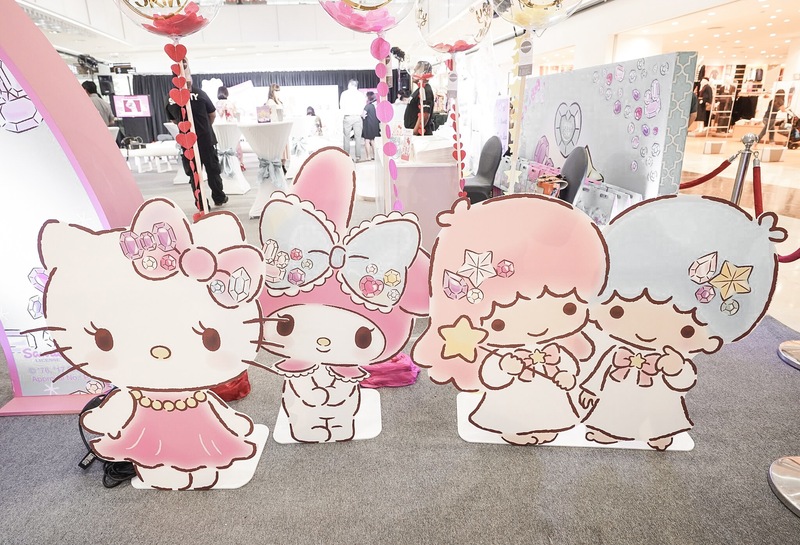 It wasn’t only the epitome of kikayness but also, it was like a status symbol because Sanrio products were a bit pricey for a young 6-year old Maxie. I recall asking my parents to buy me anything from the Sanrio store in Greenhills for my birthday just so I could add to my collection. Some of my favorite characters were Hello Kitty, My Melody and Little Twin Stars. Like many 80’s-90’s kids, I was so sad when I found out that Gift Gate was closing shop in Greenhills because that little store there held so many childhood memories for me. 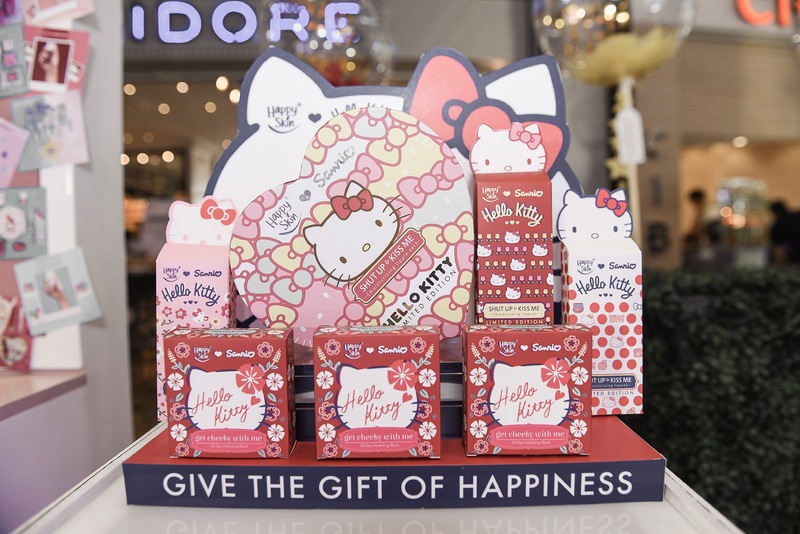 Imagine my delight when I found out that one of my favorite homegrown brands, Happy Skin announced their collaboration with Sanrio’s iconic characters for their Holiday Collection. 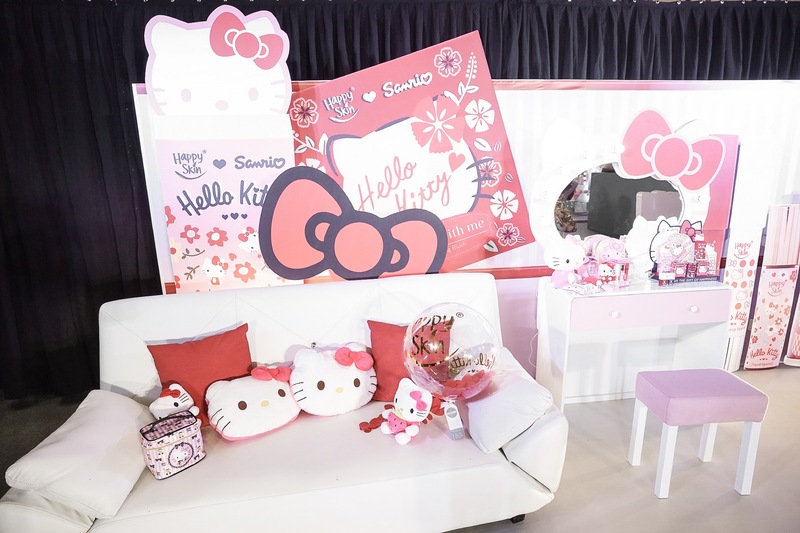 I got to attend the launch of their event last September 13 at the Atrium of SM Aura Premier, where Happy Skin and Sanrio turned everyone’s nostalgia into reality by showcasing three true-to-life dream rooms filled with collectible Hello Kitty, My Melody, and Little Twin Stars items. 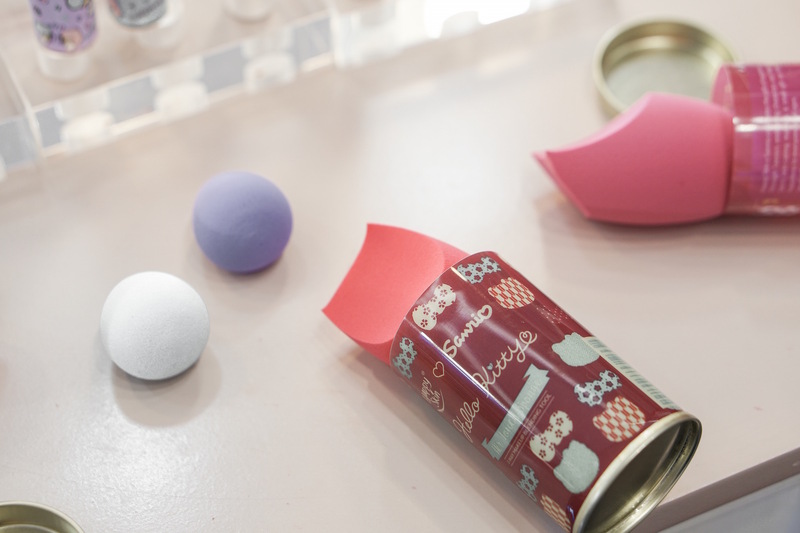 Both Happy Skin and Sanrio developed products that women would not only love, but would also be able to effortlessly incorporate into their daily beauty routine. To properly highlight and amplify all three characters, Happy Skin © Sanrio Characters is Happy Skin’s biggest collection to date, with an array 23 different products for the face, lips, and nails. 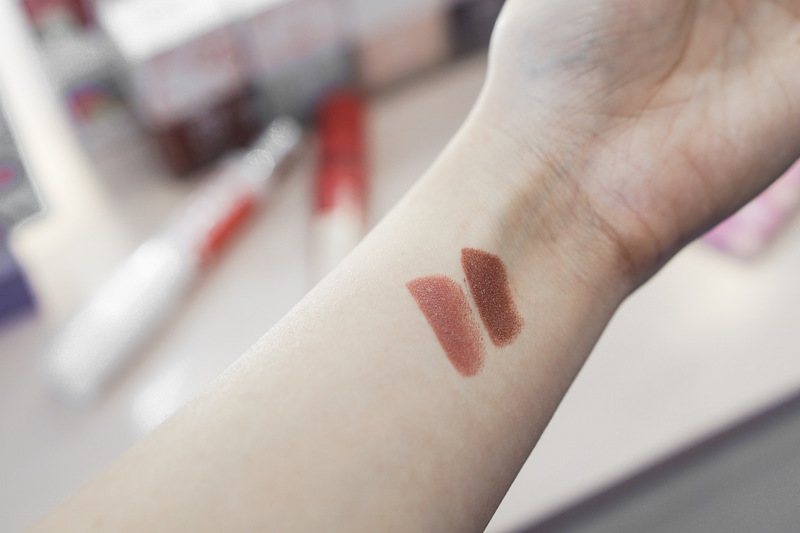 The blush comes in two shades: wine red and peach. 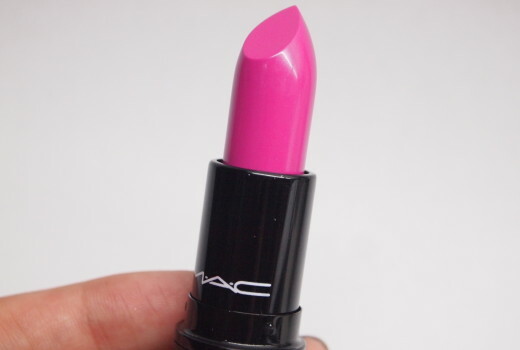 It contains Japanese Cherry Blossom Extract in the formula for hydration and Neem Leaf to prevent breakouts. 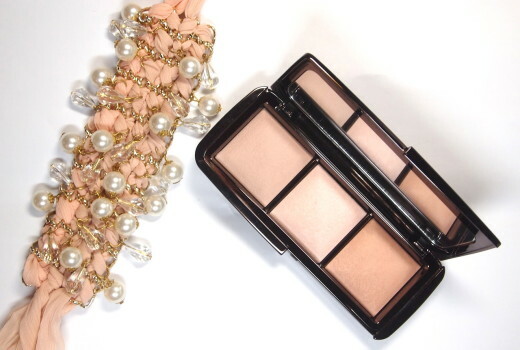 Remove makeup on the go! 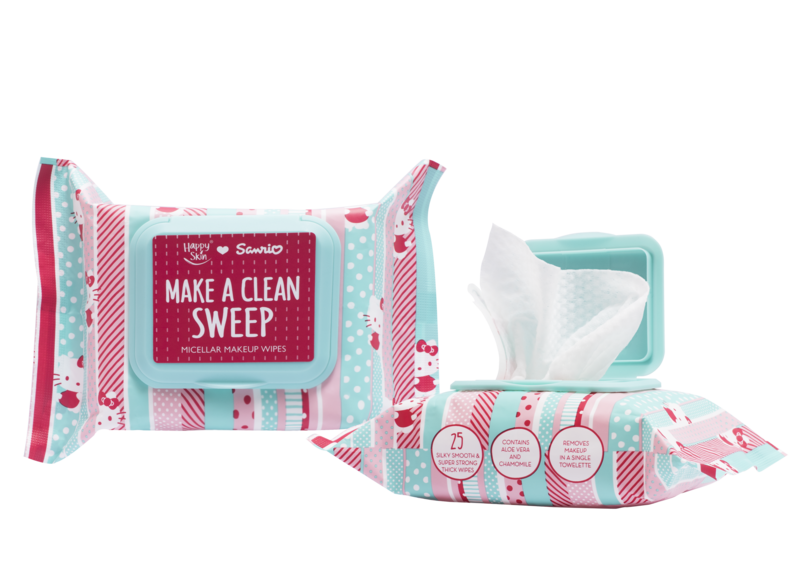 Each pack contains 25 smooth and durable wipes so you can efficiently cleanse using just one towelette. Every wipe has Aloe Vera to refresh skin and Chamomile to soothe it. Each pack contains 50 blotting sheets that effectively picks up both oil and dirt, thanks to a special mattifying powder and oil-absorbing Charcoal. Happy Skin’s revolutionary gel polish delivers the chip–resistant, long–wearing, and super shiny finish that you’re after—without needing a UV lamp! The 10-free formula (free from 10 toxic ingredients) also contains Hydrolyzed Keratin to strengthen nails and Almond Oil to nourish them. Happy Skin’s cult-favorite lippies—whether in a moisturizing, moisturizing matte, or liquid matte lippie form—promises potent pigment and maximum hydration. 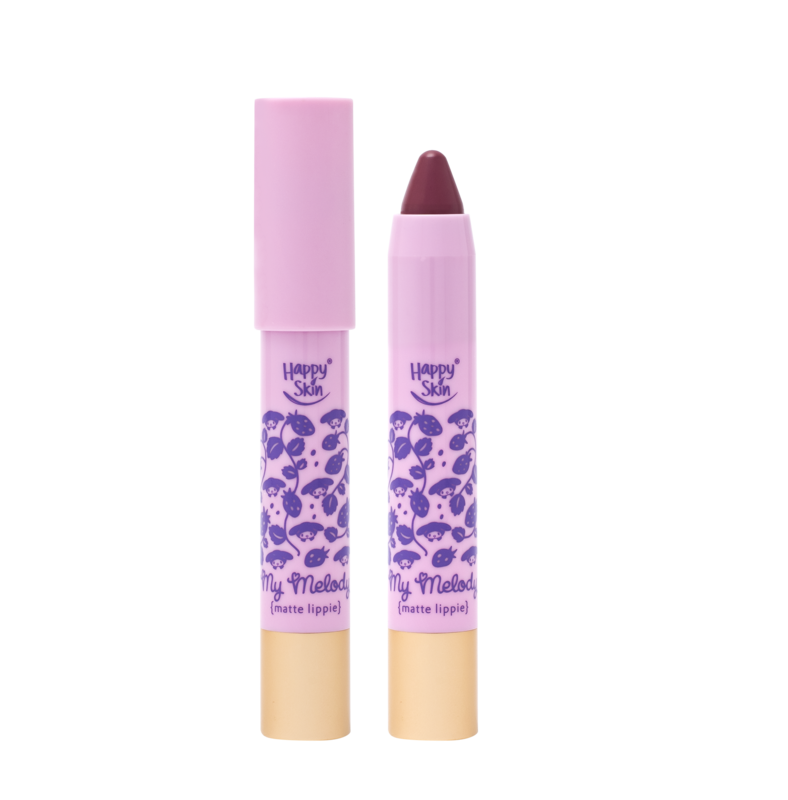 The moisturizing lippies contain Shea Butter, while the matte variants contain Cupuaçu Butter—both superbly rich lip hydrators. 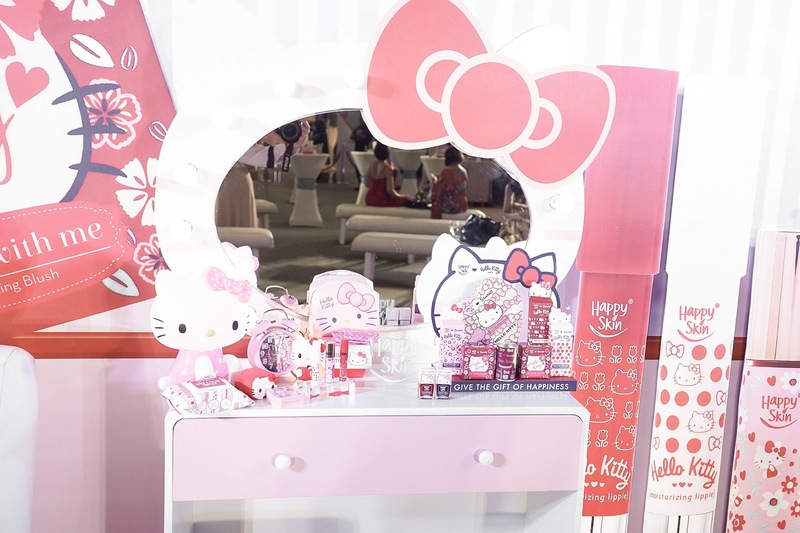 Happy Skin © Sanrio Characters Shut Up & Kiss Me Moisturizing Lippie Set (P1,099) – Contains Hello Kitty lippies in Hello, Hello Kitty and Best of Friends. 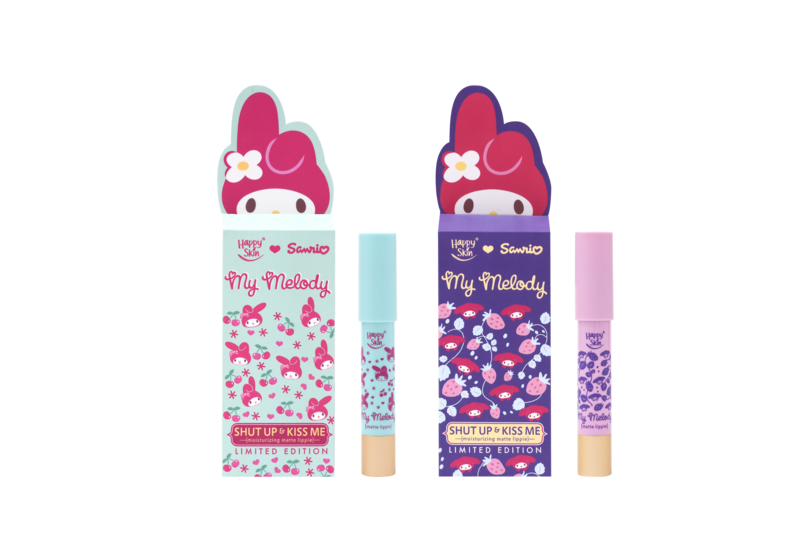 Happy Skin © Sanrio Characters Shut Up & Kiss Me Moisturizing Matte Lippie Set (P1,299) – Contains My Melody lippies in Flower Power and Berry Good. Shut Up & Kiss Me Liquid Matte Lippie Set (P1,299) – Contains Little Twin Star lippies in Twinkle Twinkle and Star Wand. I’m so happy I got to put two of my favorite things together through this collection! It’s amazing how this collection has been able to capture the heart of 6-year old maxie and 23-year old maxie. My favorites from the collection would definitely have to be the lippie products from the Hello Kitty, My Melody, and Little Twin Star lines. 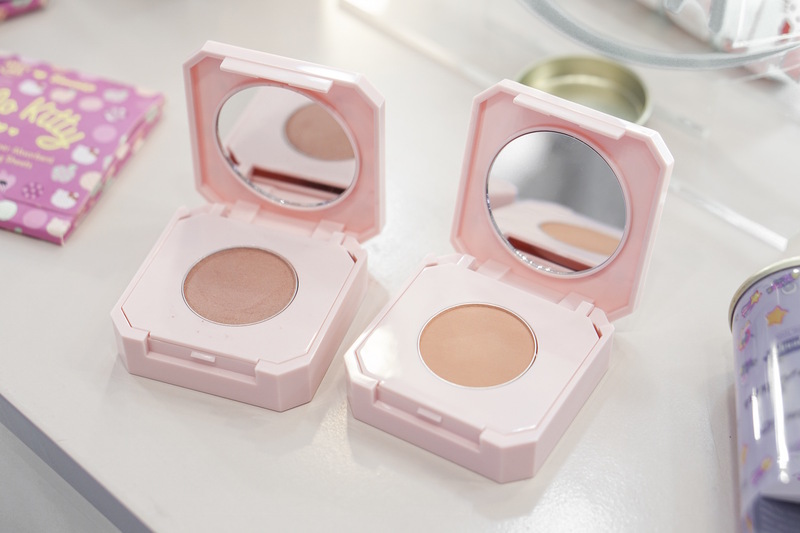 Of course, as a makeup wipe addict, I also love the makeup wipes! The Happy Skin © Sanrio Characters collection is now available in Happy Skin stores and counters, happyskincosmetics.com, and zalora.com.ph.